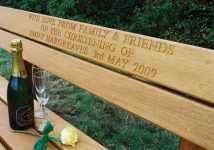 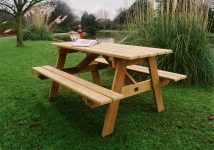 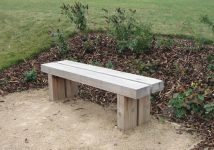 Woodcraft UK offers a comprehensive range of signage creations that combine clarity, practicality and attractive appearance, making them ideal for public facilities as diverse as woodland parks and hospitals. 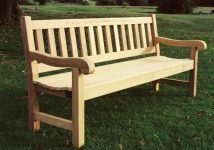 Please click the links above to find out more. Whether the need is to present a site plan or a set of parish notices, posters and written notices still have an important role to play, despite the advent of hi-tech communication systems, and Woodcraft UK’s wooden or steel notice and display boards can ensure that their message comes across clearly and remains undamaged by the elements. 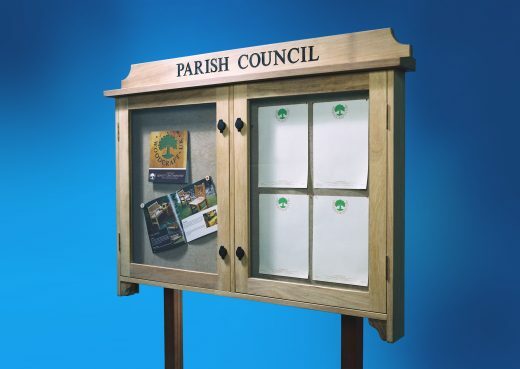 The company’s range of parish noticeboards and church signs comprise single, double and triple bay boards, craftsman-built from top quality hardwood and fronted by toughened safety glass or unbreakable polycarbonate. 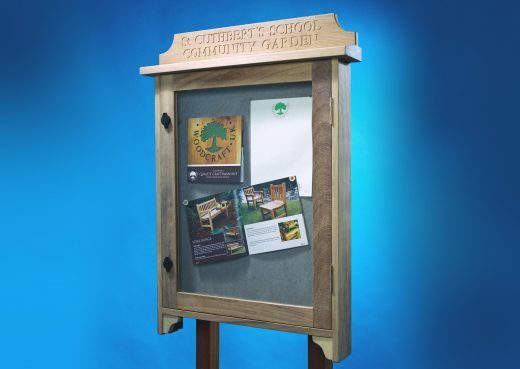 Woodcraft UK’s steel or timber noticeboards are available with a choice of pinboard or magnetic-strip backing, and each bay has the capacity to display four A4 sheets. 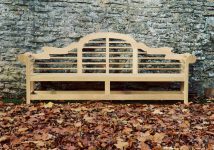 To ensure that the contents remain in good condition, each bay is weather-sealed on three sides and vented at the bottom. 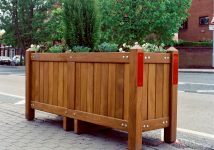 Doors can be lockable or fitted with non-locking handles, and an optional header board can be supplied for an appropriate inscription. 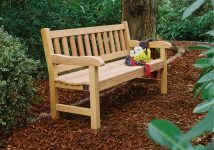 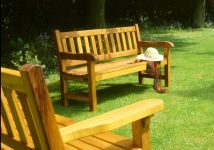 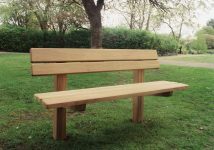 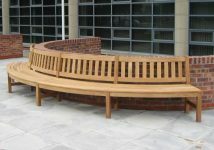 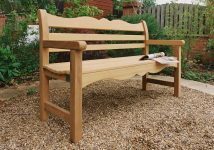 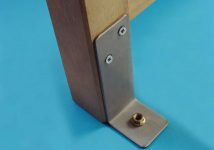 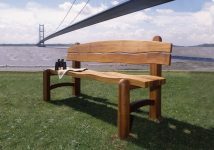 Post and wall fittings are available as required, and although Woodcraft UK (Yorkshire) produces its noticeboards to a standard format it also offers a bespoke service to cater for all customer needs – in terms of dimension, design and materials. 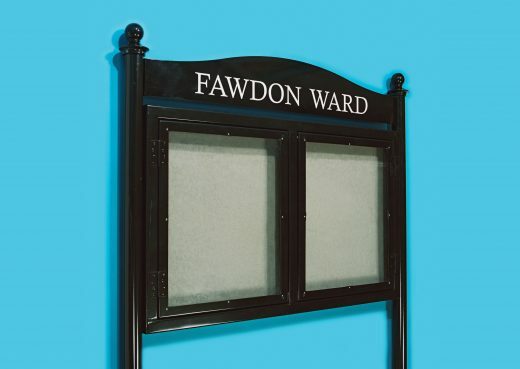 All display boards can be made in a choice of steel signs or timber notice boards. 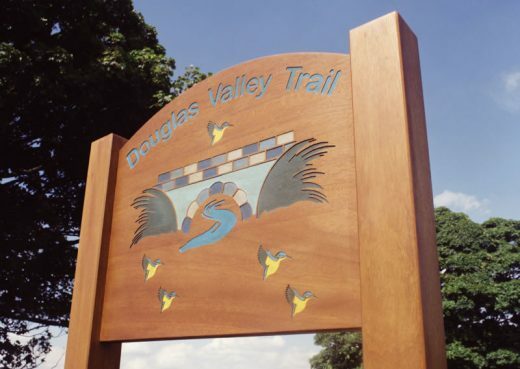 Bespoke signage in timber or steel. 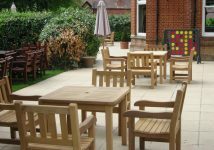 Woodcraft UK has long experience in creating outdoor signs to suit every type of establishment such as farm entrances, caravan parks and playgrounds. 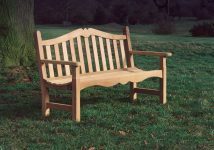 All of our signs are made in steel or durable hardwood and are manufactured to specific requirements. 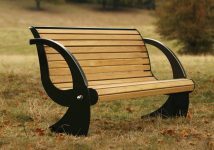 Steel signage can be powder coated in a colour of your choice and regardless of whether it's steel or hardwood, we guarantee the finest detail in replicating any corporate design or logo. 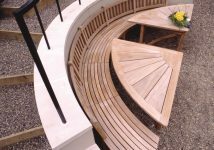 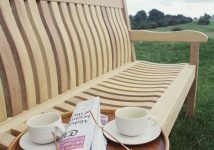 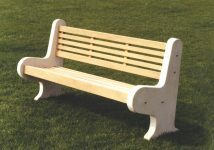 For a quote, please contact us with your requirements. 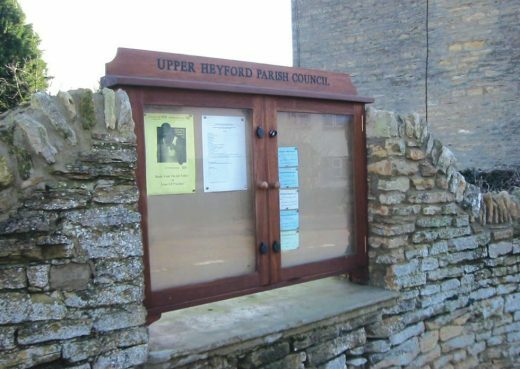 Whether it's a country park, forest trail or public recreational grounds, our information display boards can be designed to fit in with your specific environment. 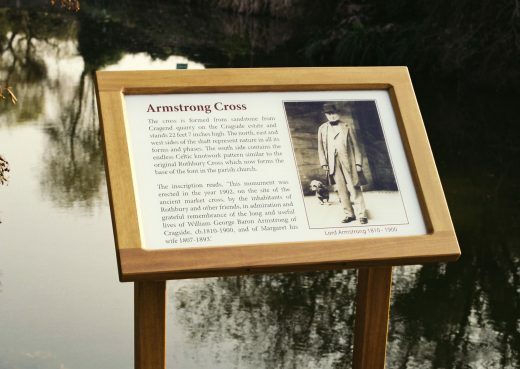 Our display boards are durable and all weather using a mixture of solid hardwood and toughened perspex. 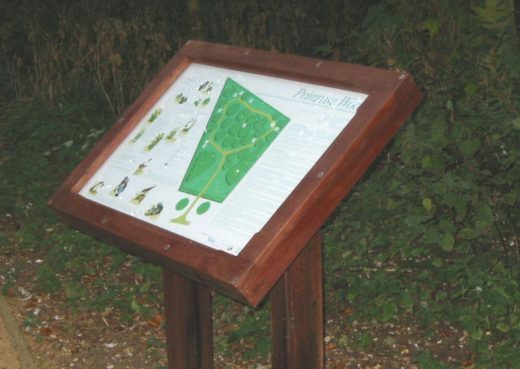 Woodcraft's display boards can be used for conveying information about a specific area such as a way finder map or indicating points of interests. 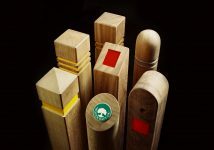 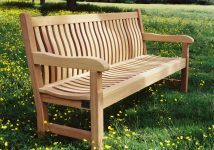 Clear and precise directions eliminate confusion and uncertainty, and Woodcraft UK provides these perfectly. 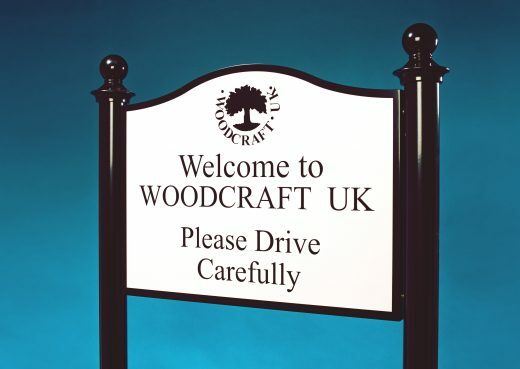 Available with single or multiple fingers, Woodcraft UK’s fingerposts feature engraved lettering, in-filled with the colour of your choice, if required, and serve as an attractive and durable guide in any setting. 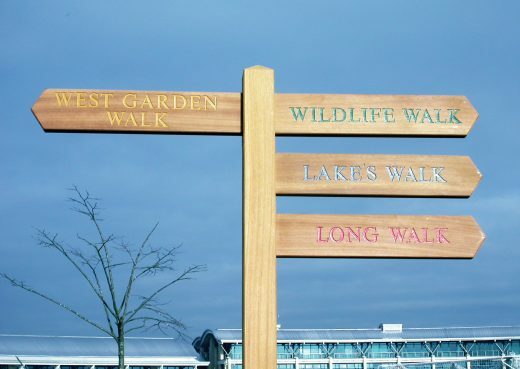 Woodcraft UK’s outdoor finger posts serve as an attractive and durable guide in any setting, and in sizeable locations can form a network of markers, colour-coded to indicate the routes to the various attractions such as forest pathways, outdoor festival finger posts and information guides in garden centres and public open spaces.